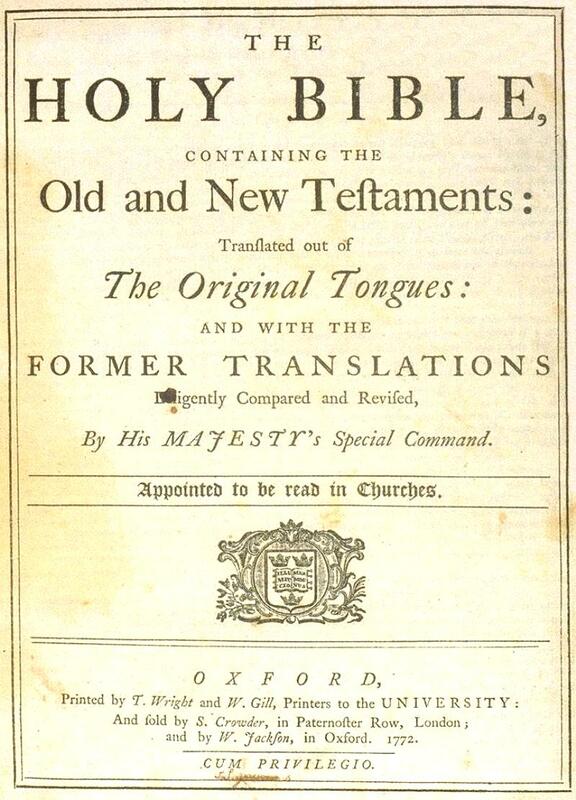 One Eternal Day: "One more exact Translation of the holy Scriptures into the English tongue"
"One more exact Translation of the holy Scriptures into the English tongue"
....[T]he King James Version was to become not only the most widely known but also the most beloved English translation of the Bible. Campbell offers several theories as to how this came to be. In the first place, the KJV was the Authorized Version. 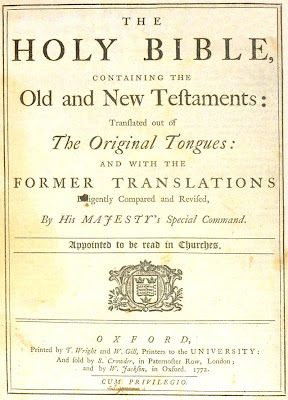 The title page informed readers that this Bible was “appointed to be read in churches.” While this did not mean that every church had to replace its Bishops’ Bible with a King James Bible, it did mean that, as churches needed to replace their Bibles in the sixteenth and seventeenth centuries, they replaced them with the KJV. It also helped that the most popular alternative to the KJV, the Geneva Bible, was suppressed in England; it went out of print in 1644. The KJV was introduced to consolidate the already unifying consensus of the English Protestant church by providing a scriptural focal point. It largely succeeded. When dissenting groups such as the Quakers, Methodists, and Baptists separated from the Church of England in the late seventeenth and eighteenth century, they took the KJV with them. As a result, the KJV was, for a long time, the Bible read by nearly all English-speaking Protestants.